KAJOTgames are online on latvian market! The selection of Kajot games is available in SynotTip’s online casino in Latvia, thanks to our cooperation with EASIT platform: Synottip.lv. We expect our games to find their place in this casino and will be more than successful. 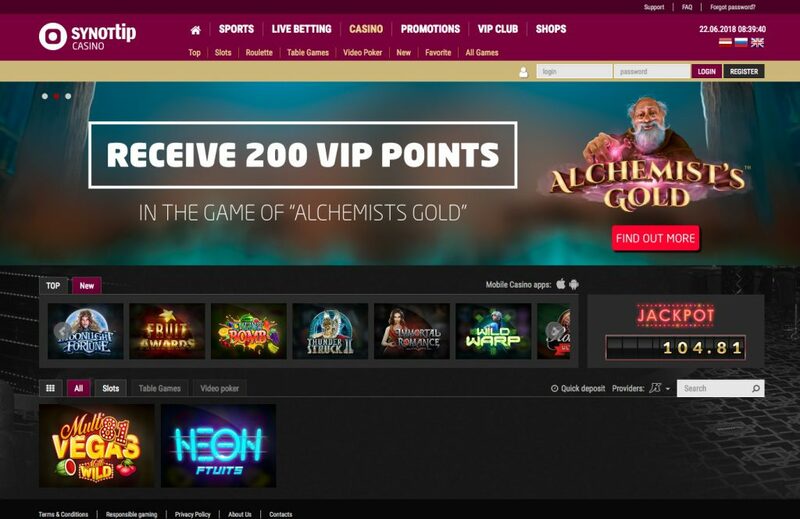 SynotTip`s players can enjoy the Jackpot system, bonuses and great customer service.